KAGAWA, JAPAN - APRIL 29, 2014 : The celebration day of military base was made in Kagawa Prefecture. Military vehicle marches for a parade. Apr 29, 2014 in Kagawa, Japan. 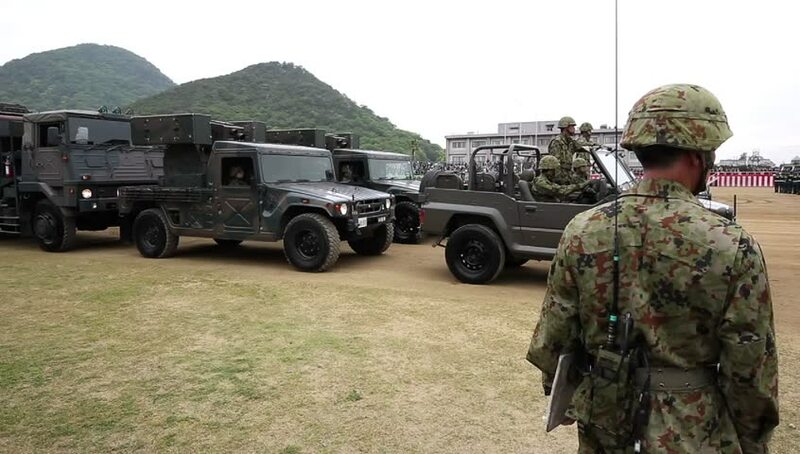 hd00:30KAGAWA, JAPAN - APRIL 29, 2014 : The celebration day of military base was made in Kagawa Prefecture. Military vehicle marches for a parade. Apr 29, 2014 in Kagawa, Japan.